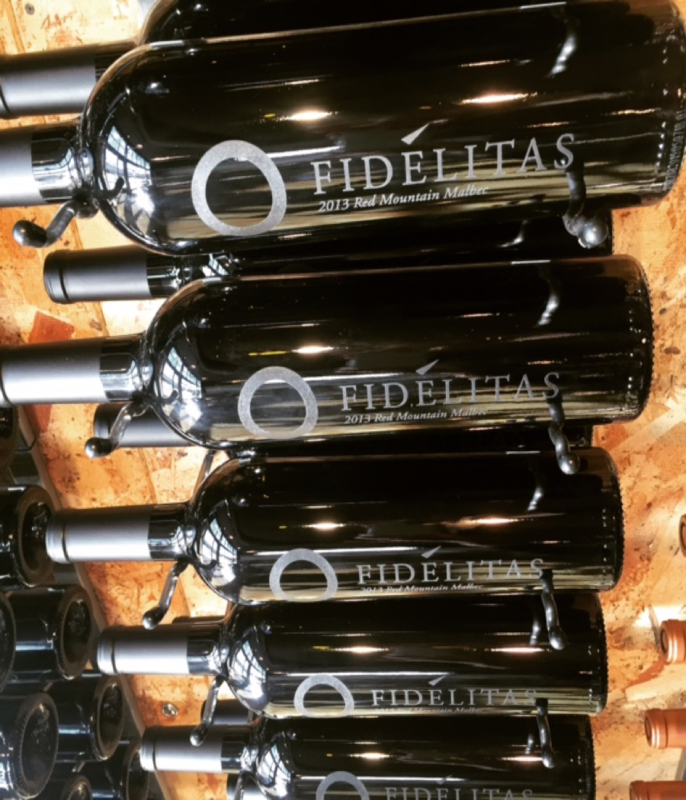 As many of us know, Team Fidelitas was counting down the days to the recently released 2013 Red Mountain Malbec. This is our first vintage of Malbec that is sourced entirely off of Red Mountain, the place we call home. How did we celebrate this joyous occasion? 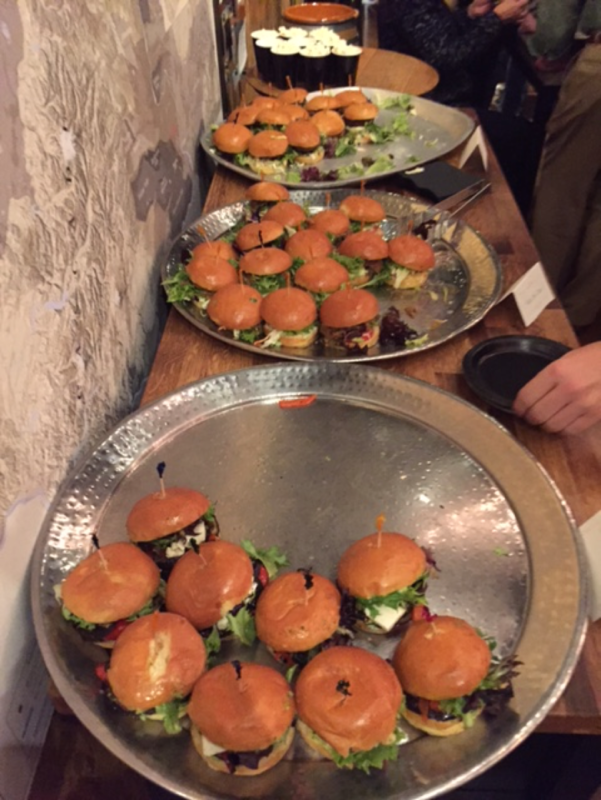 We celebrated with our 2nd Annual Malbec Madness Event, complete with sliders and an “All Black” theme to replicate our black on black bottle. If you haven’t had a chance to visit either Red Mountain or our Woodinville tasting room come see us and we will give you a taste of the 2013 Red Mountain Malbec before it’s gone! Super Bowl 50 is upon us once again. This year, why not change things up a bit and try some new game day snacks and drinks? 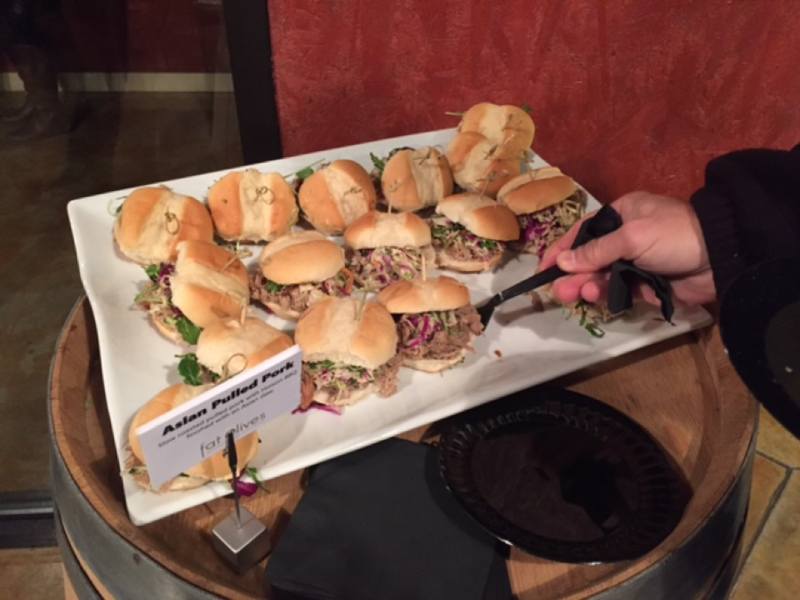 We’ve paired some tried and true, along with some new appetizers with our Fidelitas lineup and we think you’ll agree that you will come out the winner. Our just released 2013 Red Mountain Malbec is nothing short of spectacular. With its bright palate and juicy notes of boysenberry, raspberry and baking spices, it finishes with subtle, lingering tannins. This wine would be fantastic paired with your favorite Chili. Or try pairing them with Bacon Wrapped Jalapenos. Using gloved hands, slice jalapenos lengthwise and remove seeds and membrane and set aside on parchment lined baking sheet. In a large bowl, combine cream cheese, cheddar cheese, and green onion. Mix well. 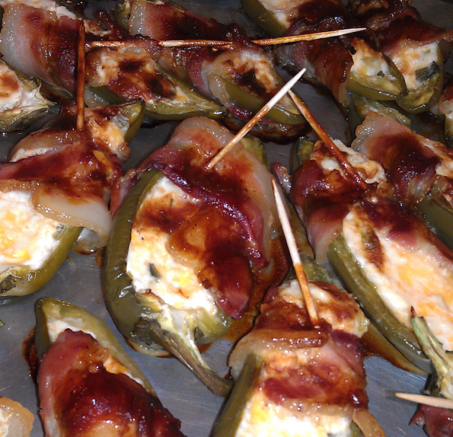 Fill jalapenos with cream cheese mixture and wrap with one half slice of bacon and secure with a toothpick. Brush the tops of the bacon with BBQ sauce. Bake at 300 for 45 minutes or until bacon is done. Makes 24-30. The 2014 Klipsun Vineyard Optu White is a shoo-in paired with your favorite Spinach Artichoke Dip or Smoked Salmon with Cream Cheese. 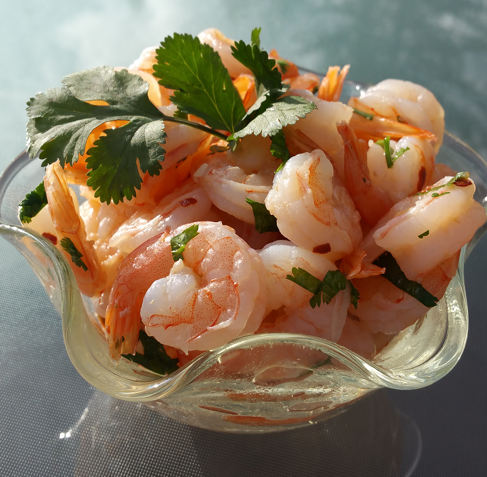 Our favorite is Optu Shrimp, a spicy concoction of cilantro, garlic, red pepper flakes and Optu White. Our 2012 Merlot line-up is amazing and any of them (Ciel du Cheval, Red Mountain Merlot, Champoux Merlot) would be delightful paired with Twice Baked Loaded Potato Skins or Cubano Sandwiches. Each one represents Red Mountain well and would be a great addition to your Super Bowl table. Our 2012 Ciel du Cheval Red Wine is a delicious blend of Merlot, Cabernet Sauvignon, and Cabernet Franc. With notes of black fruit and a hint of toasted oak, it would be fantastic paired with Teriyaki Meatballs or the classic favorite, 7 Layer Dip. The 2012 Boushey Red Wine is a delicious blend of Cabernet Sauvignon, Merlot, and Cabernet Franc. It is silky and aromatic and would pair beautifully with Garlic Tomato Bruschetta or Lu’s Homemade Mac n’ Cheese. 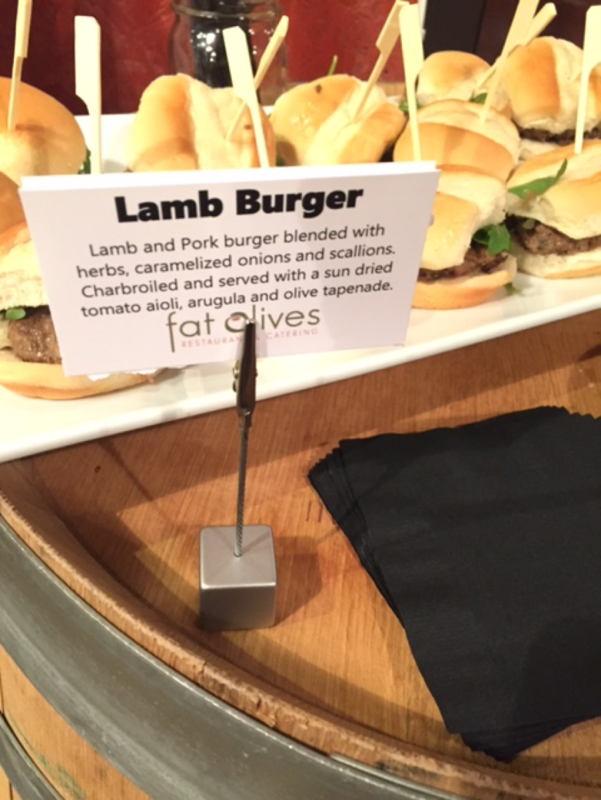 Both recipes are listed here and would be a fantastic addition to your Super Bowl line up. In a large bowl, combine basil, garlic, oil, salt and pepper. Add tomatoes and toss gently. Sprinkle with cheese. Refrigerate at least 1 hour. Bring to room temperature before serving. Cut bread into 24 slices; toast under broiler until lightly browned. Top with tomato mixture. Serve immediately. Yield: 12 servings. Preheat oven to 375. Lightly coat a 9x13 pan with canola spray. In separate bowl, combine milk, Worcestershire sauce, salt and flour. Mix until flour is dissolved. Set aside. Cook macaroni according to package directions and drain. Immediately put macaroni in prepared pan and add butter. Stir and add cream cheese. Mix well. Add milk mixture and cheese and mix well again. Bake for 35 minutes. The last 5 minutes, turn the broiler on and caramelize the top of the mac n’ cheese. Serves 6-8. **Note** Cheese is the star ingredient here. Lu suggests using 4 cups of Habanero cheese if you like it hot or 3 cups of sharp cheddar (Beecher’s is a favorite) and 1 cup of Habanero. You can also do 2 cups of cheddar and 2 cups of pepper jack. Just be sure to use a good, sharp cheddar! Try pairing our 2012 Ciel du Cheval Cabernet Sauvignon with our Offensive Line Beef Bites. The wine is full-bodied with black fruit notes on the palate and would complement the shaved rare Prime Rib and Aged Cheddar in the bites. Who could forget dessert? The classic characteristics of cherry, raspberry & vanilla of our 2012 Red Mountain Cabernet Sauvignon would be perfect match for Caramel Corn with Chocolate and Bacon. Preheat oven to 250F. Coat the bottom and sides of a large roasting pan with nonstick cooking spray. Place popped popcorn in large bowl or container. In a heavy pan, slowly melt butter; stir in brown sugar, corn syrup and salt. Heat to a boil, stirring constantly; boil without stirring for 5 minutes. Remove from heat; stir in baking soda and vanilla. Beware - this will foam up so work quickly and make sure the pot is big enough! Gradually pour over popped popcorn, use two large spoons to mix well. Bake for 1 hour, stirring every 15 minutes. Remove from oven, cool completely. Break apart and store in tightly-covered container. Fry minced bacon until just done, (not crispy) and drain. Add to caramel corn before baking. Drizzle melted Dark chocolate over cooled caramel corn. Add salted peanuts to caramel corn before baking. We hope that we’ve piqued your interest with our wine and appetizer pairings and look forward to seeing you in our Tasting Rooms soon in preparation for the big game on Sunday, February 7th. Both Tasting Rooms will be closed on Sunday, so be sure to stop on before then to stock up on your favorite wines. Where do these words come from? Translated from Latin, Fidelitas means faithful, loyal, and true. Think about the word fidelity and it starts to make sense. Ponder our logo, realize the circle is not an O, it’s a ring or circle of fidelity, and it makes a bit more sense. Know Charlie Hoppes and it all comes together. Charlie and his wife, Terri, have been married for 33 years. They started their family as Charlie started his winemaking career. 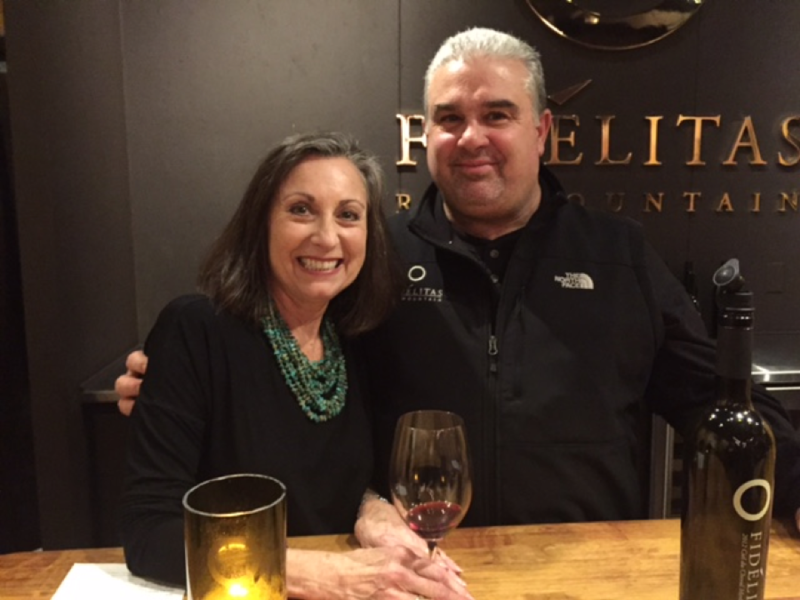 When they launched their own family winery in 2000, Charlie looked to Terri’s family for the name, settling on Fidelis (extended to Fidelitas). Like his winemaking style, Charlie’s approach to life is simple and pure. Honor those who are important to you, respect everyone, and don’t sweat the small stuff. Knowing him is knowing what it is to be faithful, loyal, and true. 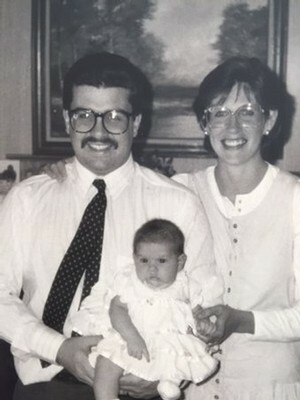 Charlie, Terri, and their first daughter, Emily. Photo taken within the year Charlie first discovered Red Mountain fruit. I don’t say all of these nice thing about my boss because my annual review is coming up, but because these 3 words have truly permeated all aspects of our business. We are faithful to grape varieties from the Bordeaux region of France (with a particular soft spot for Cabernet Sauvignon), loyal to modern craft winemaking techniques, and true to Red Mountain’s unique terroir. My team here aims to show everyone how they are faithful, loyal, and true through the relationships we have with visitors, members, and one another. Each February, we celebrate the region we call home: Red Mountain. We host special tastings of our Red Mountain wines, and offer our customers the chance to stock up on some truly special releases. We hope that you’ll join us in the tasting rooms, or bring some Red Mountain in to your home so you can celebrate being faithful, loyal, and true along with us. 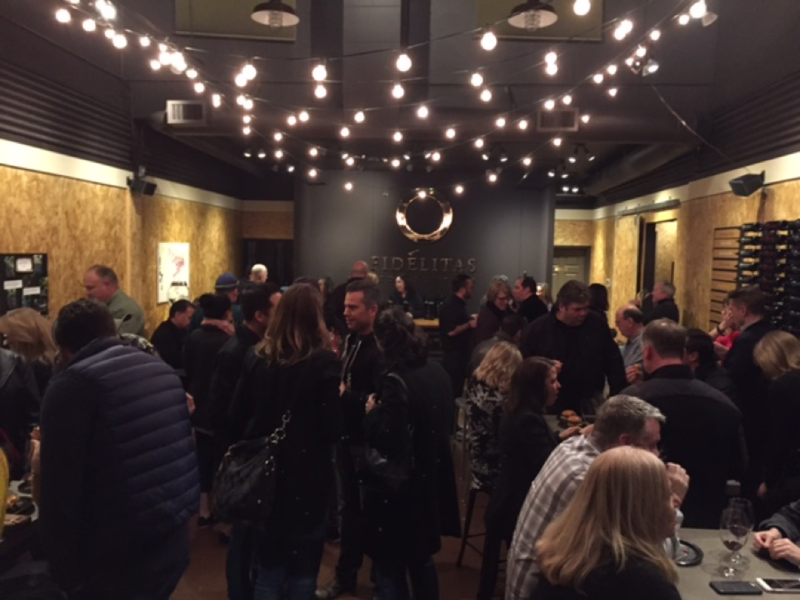 Celebrate in the tasting rooms! Order 2012 Red Mountain Cabernet Sauvignon, as we spotlight one of our staff favorites at a very special price. Red Mountain Cabernet Sauvignon is a wine we make each year to feature the unique characteristics of Cabernet from the Red Mountain AVA, using Clone 8 Cabernet from top Red Mountain vineyards. Toast your true love with Red Mountain Cabernet and we’ll toss in a couple truffles for you to enjoy as well. Order by February 7th to have 2-Day Air shipping included in the price of a 6-bottle purchase.